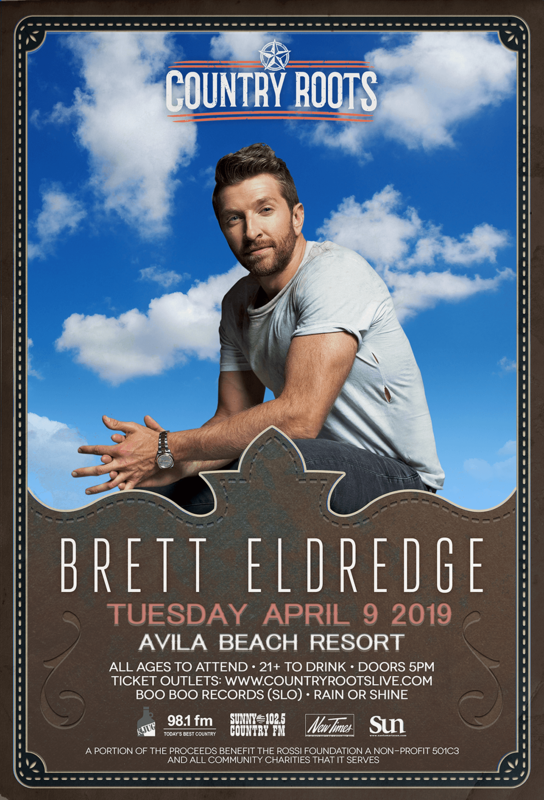 Brett Eldredge - Otter Productions Inc. | Otter Productions Inc. Brett Eldredge - Otter Productions Inc.
BRETT ELDREDGE returns to the Central Coast to California’s Premier Beachfront Concert Venue on April 9th, 2019. Brett Eldredge, a Central Coast favorite… seven years into one of the hottest careers in country music there are more eyes on Brett Eldredge than ever before… and with the release of his latest album for Atlantic Records/Warner Music Nashville, those eyes will finally get the full story… The ‘sensitive romantic’ artist that fans discovered on “Beat of the Music” and “Wanna Be That Song”? He’s back! The passionate crooner who could barely restrain himself on “Lose My Mind” and “Drunk on Your Love”? He’s still obsessed. And making its first musical appearance: the hilarious personality that’s built a social-media following in the millions! His newest project goes even further, filled with soul-searching lyrics and the raw, complex emotions Eldredge has always wanted to share. It’s so personal that when it came time to decide on a name, there was only one option… it had to be self-titled. Now at 32 years old and with a freight-train of momentum, the Illinois native is getting real, and he’s bringing it all to the beach at Avila on April 9th! With Beach Club Balcony and General Admission Lawn tickets available for sale, this will be a sunset/evening concert, gates open before sunset at 5PM and the show will continue into the evening. In the style of any great outdoor venue, you will be able to enjoy your favorite libation (adult beverages and premium beer and wine will be available for sale), snack (upgraded concert snacks available for purchase), watch world-class entertainment under the evening sky with the backdrop of the Pacific Ocean. Advance Beach Club Balcony ($105 plus fees) and General Admission ($42 plus fees) tickets will go on sale Thursday February 28th at 10AM at Boo Boo Records in San Luis Obispo; on-line at ON THIS SITE. All Ages. 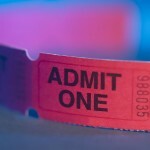 7 and under admitted free in Lawn Seating only when accompanied by paid adult, one child per one paid adult. Rain or Shine. Please no outside food or beverages. No pets. No umbrellas. Low-backed lawn chairs (2’ maximum back height) and blankets allowed in Lawn Seating only. No high-backed chairs will be allowed in venue. Paid parking on-site pre-paid. Doors are at 5PM. 10PM curfew. There will be a “Premier Beach Club Balcony” area… premier 2nd story balcony viewing, appetizers, VIP no host bar, private restrooms, indoor G/A seating and outdoor Standing Room Only. There will also be (G/A) General Admission Lawn Seating. Okay to bring blankets and low-backed chairs (less than 2’ high) into General Admission Lawn area. Tickets on sale Thursday, February 28 at 10AM on this site and at Boo Boo Records in downtown SLO. All Ages. Rain of Shine.